Since I got a recipe request from some friends in the US about Swedish round bread I’m writing this post in English. The recipe will be available in Swedish at the bottom of the post. 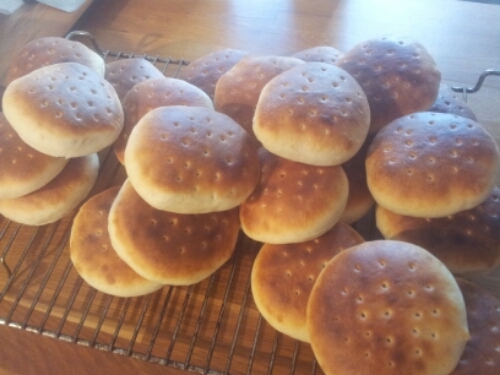 This is the recipe of Swedish round bread – Tekaka. The again, there is no rule. The different variations have evolved in different parts of the country over the centuries with little influence from each other. This specific recipe is a Swedish tea bread or tekaka as it is called in Sweden. If using fresh yeast dissolve yeast in cold milk and then add all the other ingredients. If using dry yeast heat the milk to 40 °C/104 °F. Mix the dry yeast evenly into the flour and then add the heated milk. Mix well and then add the rest of the ingredients. Knead the dough (preferably in a kitchen machine with a dough hook) for a couple of minutes till it feels smooth and elastic. Place the dough in a lightly oiled bowl and leave to prove for about 1 hour. Turn out the dough on to a breadboard. 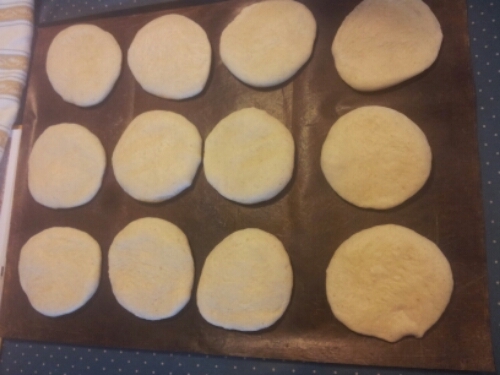 Divide the dough and roll buns that weigh between 2.5 to 3 oz each. Flatten the buns to the size of a DVD disc. 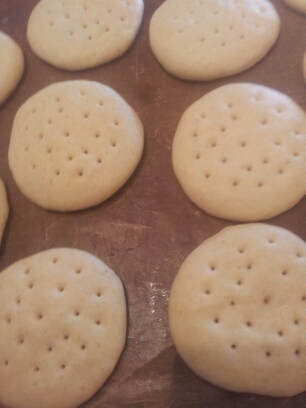 Place them on baking tray covered with a baking paper. Let them rise for about 30 minutes. Set the oven to 250 °C/480 °F. Prick the the round breads with a pricker or a fork and bake them in the middle of the oven for about 8 minutes. Let the round bread rest and cool down for a while and then enjoy them with butter and a good slice of cheese. 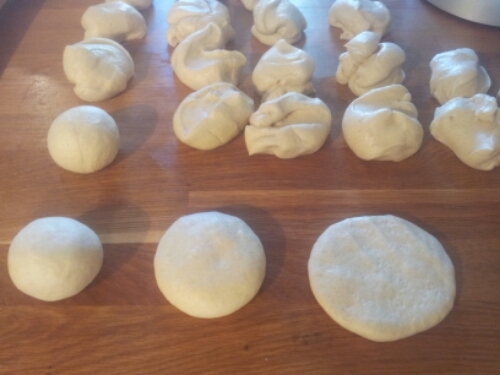 For another type of round bread, please check out my recipe for hönökaka (sorry no translation). Lös jästen i mjölken. Tillsätt resten av ingredienserna och knåda (helst i maskin) i minst 10 minuter tills degen är smidig och len. Låt jäsa i 30-60 minuter. Stjälp upp på ett bakbord och dela upp degen och rulla bullar som väger ca 80 g st. Platta till eller kalva ut bullarna till DVD stora plattor. Flytta över till en bakpappers klädd plåt och låt jäsa i 30 minuter. Slå på ugnen på 250 °C. Nagga kakorna och grädda sedan i mitten av ugnen i ca 8 minuter.